The September term break is just round the corner, time for the kiddos to rest and relax after the term tests. 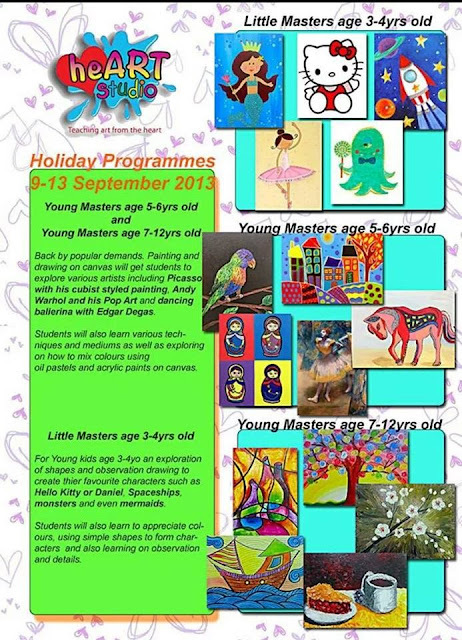 heART Studio's popular canvas painting & drawing are back this September 2013 school holiday! 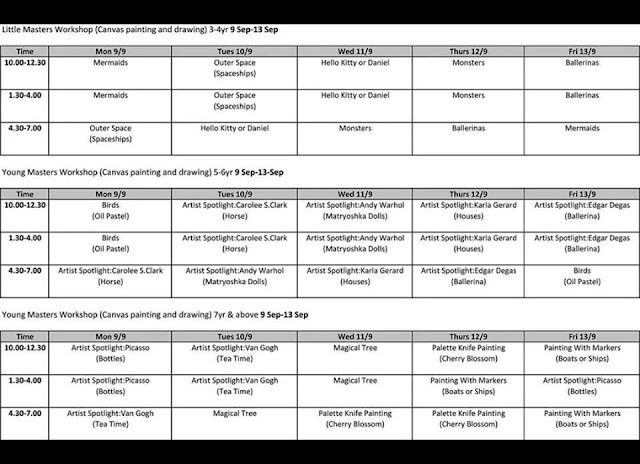 Your kids will be able to learn the unique painting or drawing technique of famous artist like Picasso, Van Gogh, Andy Warhol & Edger Degas. Needless to say, DinoBoy will be going for the workshop too! Have a guess, which one did he choose without having to think twice? Of course, there is something for my lovely royal readers~ heART Studio has generously given me 3 workshop passes; 2 passes for Tea Time & 1 pass for Magical Tree, to host a giveaway! Read on to see how you can enter the giveaway. 1. 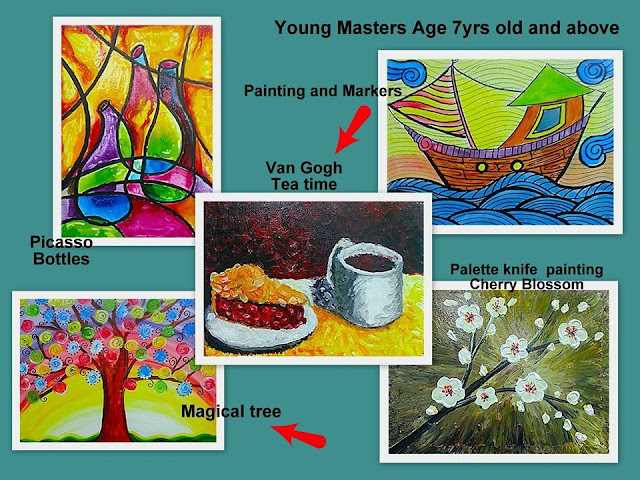 My giveaway is for Young Master Workshop Age 7 years old & above. 4. 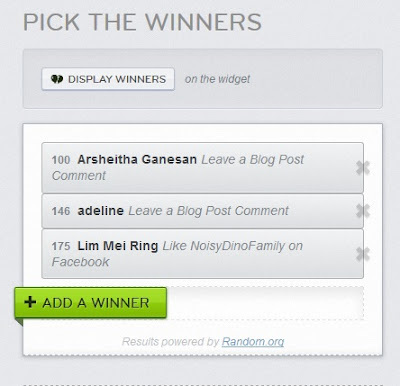 We do not like to say this but incomplete info will means that we have to strike off your chance to win the giveaway. 5. Giveaway will end on 01 September 2013 @ 2359hrs and winners will be announced in our blog and facebook page. 6. Giveaway is open to Singapore only. We have our 3 lucky winners! Thank you every one for participating!